During my working life all my roles have been in the private sector. I have always contributed to the company pension scheme, where ever I have worked, but this has always been a defined contribution scheme; i.e. the money I put in is invested and supposedly builds up a pot to invest in a pension at the end. I have worked for around 20 years and if I bought an annuity (annual pension) today, with the money I have contributed, I would probably get about £1,000 per year – not really enough to live on. OK the value of my pot may go up over the next 20 years but if the last 10 years are anything to go by, it may not. If I had worked in the public sector for all of this time I would probably have a guaranteed pension of about £6,500 (I know this because my sister is a nurse who is paid a little bit less than me and is of a similar age). This does not seem fair to me. I am not advocating a race to the bottom and Green Party policy seems enlightened in this area. EC806 would introduce publicly administered pension schemes which would enable people voluntarily to provide for their retirement without recourse to the current private pension providers. People would be able to contribute to a national additional scheme in which they would get fixed rate pension investment bonds in return for their contributions. They would also be able to invest in Local Community Pension Schemes. These Schemes would be administered by local authorities/community banks and would re-invest the money paid into them within the local community. These could offer the options of either fixed rate local bonds, or an equity-based scheme which would give variable returns from investment in appropriate local businesses which satisfied various criteria concerning environmental and social standards. Those who have contributed to such publicly administered pension schemes should receive an annual statement detailing the current value of their pension fund, and an estimate of the future level of an annuity purchased by that fund on retirement. So the Green Party is suggesting the public sector type of pension for all individuals. You would get Fixed Rate Bonds when you make contributions. These bonds would pay a fixed rate of interest which would be the income on retirement. Perhaps a further policy to consider would be a reduction in Employers National Insurance for those larger companies that offered their own defined benefit scheme to ALL employees (and an increase for those that do not) as they would be taking the burden off the Government for administering such a scheme and providing employees with a reasonable income in retirement. The companies (particularly large corporates) would hold their hands up in horror and say they could not afford such a scheme. This is what they are doing at the moment. They are using this excuse to close defined benefit schemes to new employees. I believe this is just another example of these companies abdicating responsibility for helping to create a civil society, as is happening with the living wage and tax avoidance. I work in corporate treasury (which can’t be all bad as the new Archbishop of Canterbury was a corporate treasurer) and in 2011 there was an article in The Treasurer (a riveting read!) which argued that defined benefit schemes can be afforded and are good for society at large. So there is no reason why this Green Party policy could not work. Now the public sector, why do different occupations in the public sector pay in different amounts of their salary and get out different pensions? For example my sister (the nurse) pays in 8% of her salary and will receive 1/80th for each year worked. MP’s can choose to pay in 7.9% of their salary and they will get 1/50th. 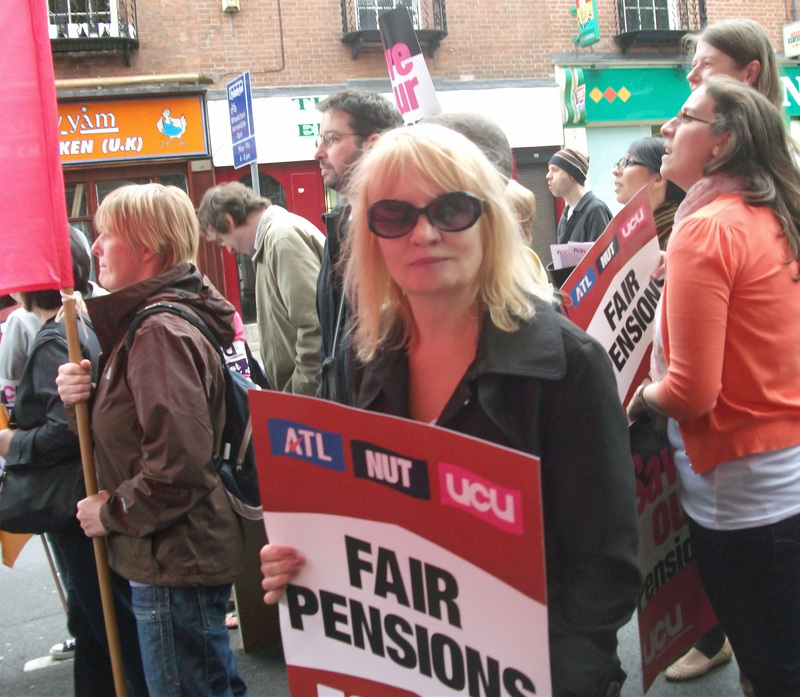 Why aren’t all public sector pensions the same? In summary, it’s time to make pensions fair, defined benefit schemes for all public and private sector workers. The same type of scheme with the same deductions and the same percentage of salary for all public sector workers. Rather like the Green Party policy suggests. This entry was posted in Derbyshire County, East Midlands, Economy, Equality, Issues, National and tagged pensions. Bookmark the permalink.